It's always great to see people enthuse about their specific collecting interests, no matter how bizarre or detailed. And sometimes they inspire you to have a look too. 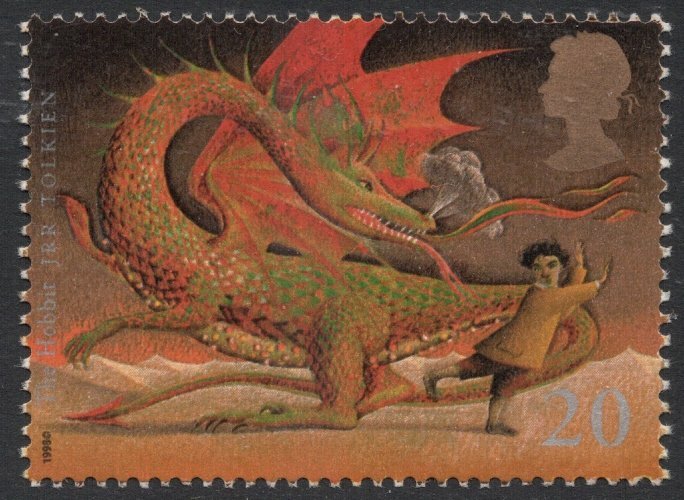 That's how I suddenly found myself looking at dragons on stamps, thanks to a newcomer on the blogblock! I was wondering what would be on offer if you don't go down the obvious route of Year of the Dragon stamps. 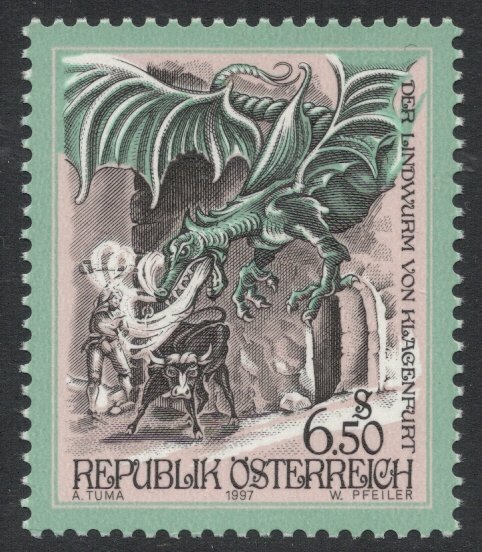 The Dragon of Klagenfurt usually only ate virgins but he couldn't resist the fat bull which was a trap laid by some very daring men who then managed to slay the dragon, and it was they who then founded the city of Klagenfurt on that spot. 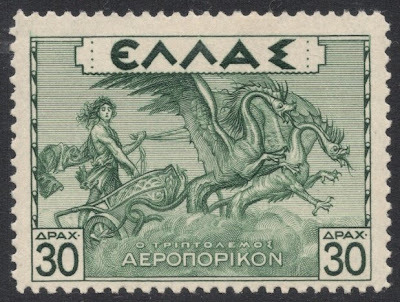 There are dragons in Greek Mythology as well. The greek Demi-God Triptolemus had a brother. When Demeter came to make this little just-born brother immortal, something went wrong and the babe died in a roaring fire. To make it up to Triptolemus, Demeter gave him the art of agriculture and a chariot drawn by two dragons with which he could spread his agriculture all over the world. In British Mythology we of course have Smaug, from Tolkien's The Hobbit. He was one of the last Dragons of Middle Earth, who had guarded his enormous treasure for centuries. The Hobbit, however, discovered the dragon's one and only weak spot and was therefore instrumental in the eventual downfall of the dragon. But to be fair, it is probably St. George's Dragon which must take first place in a British Dragon collection. 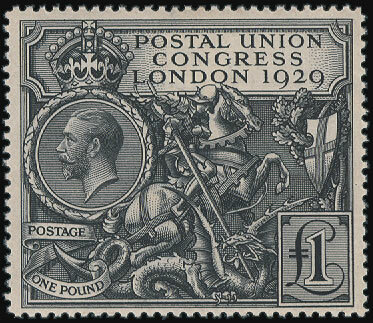 It graces that most wonderful of British stamp, the 1929 PUC pound stamp. The theme of St. George slaying the dragon is one that is surprisingly widespread. 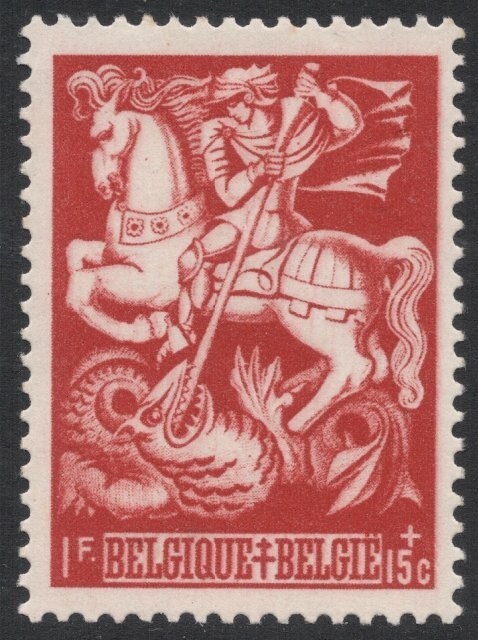 Here's a similar stamp from Belgium. 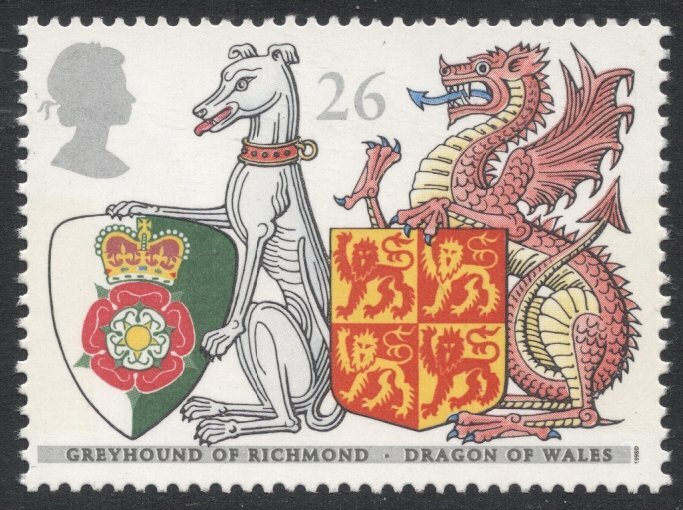 And of course, continuing the theme of a few weeks ago, we can't do British Dragons without paying attention to Wales! I quite like this one, from the Queen's Beasts set of 1998. Apparently, the red dragon, Y Ddraig Goch, was the battle standard for such mythological leaders as King Arthur, and slowly evolved into Wales' national symbol. Oh go on then, I said I wouldn't, but I quite like this one. 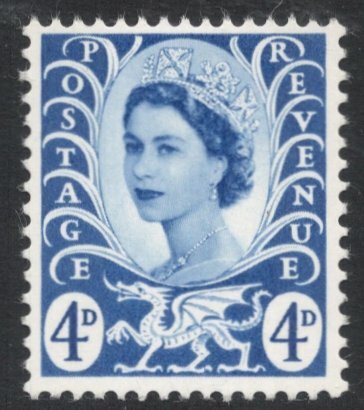 One of the few stamps that actually scan better when placed against a white background. 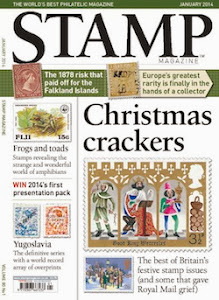 Makes you notice the lacework of the actual stamp much better. 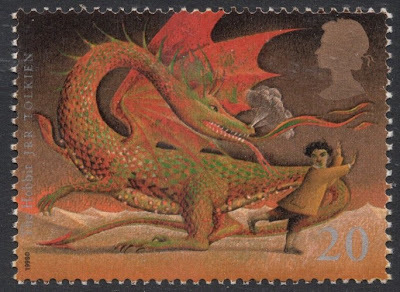 You may also consider the Dutch postage stamp nvph-443 (bevrijdingszegel) from 1945, on which the Dutch Lion defeats the Dragon (of war). Hi Adrian, Great Blog!!! 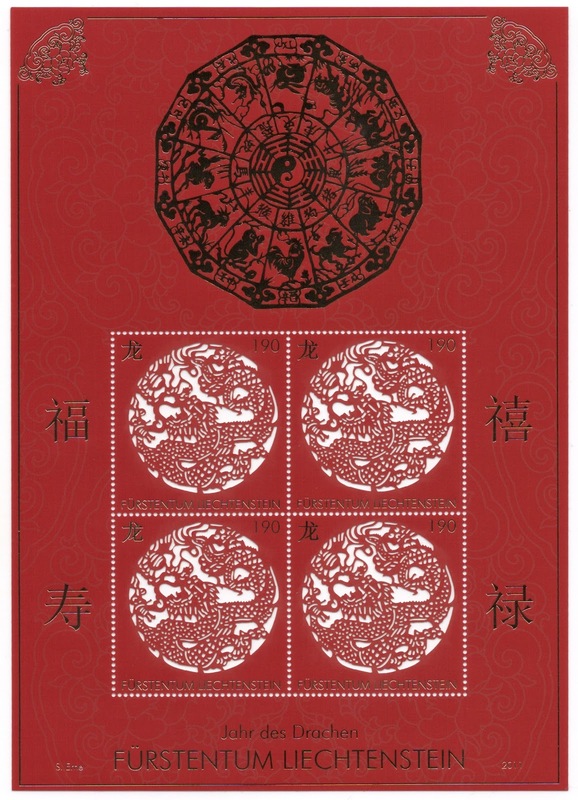 There are actually heaps of Dragons on stamps aside from the Year of... ones. A fascinating subset of mine is Dragon Slaying. I'm building up quite a decent collection and I'm planning to have a week on my fb page dedicated to Slaying!!! It's great you've been inspired to look at dragons...very cool !! Hi Adrian, I wonder if you'd be interested in doing a guest blog on Dragon Philately some time in the future? Love to! But am too pressed for time at the moment so it'll be a while. Another great blog. Thank you. My tuppence worth - the set that the Austrian stamp comes from is another fine gem from Austria Post. Why, thank YOU, Yodelling Boy, for your kind comments! And yes, you're right, that Austrian set is great, as are so many other Austrian definitive sets.